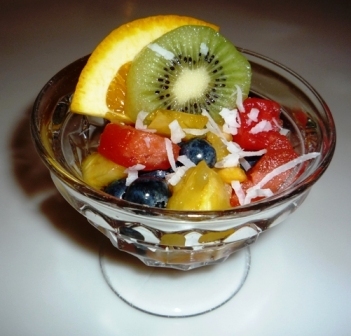 Having a “fit” vacation doesn’t have to be difficult. 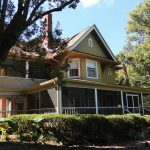 When you stay at Thurston House bed & breakfast, just north of downtown Orlando and minutes from Winter Park, we can help you. Start your day with a walk, stroll or run along the paths and quiet streets that surround us – Having a “fit” vacation! All are safe and secure for you, and quite pleasant. 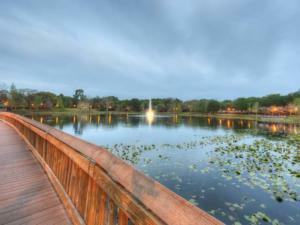 Imaging strolling amid beautiful neighborhoods with gorgeous homes, beautiful landscaping and several lakes! The birds, bunnies, and butterflies will entertain as you go along your way. 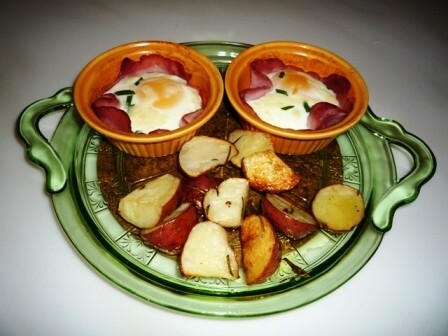 A light version of hash & eggs for you! Then back to Thurston House at breakfast time to continue having a “fit” vacation. Long known for healthier versions of delicious breakfast items, Carole will accommodate any of your needs as long as she is advised ahead of time. Specialties such as zucchini egg cups, quinoa crusted quiche, and poached eggs on a bed of spinach are just a few of the delicious items that you could enjoy. Plan ahead and you can arrange a workout with one of Winter Park’s premier trainers. Her gym is conveniently located less than a 10 minute drive, offering everything from one on one training, spinning classes and group exercises. “Bud” Seaman is a former Olympic swimmer and long in the fitness world. Just ask the innkeeper for more information and receive a card for a 25% discount for anything that Bud offers at Ultimate Fitness. See, it really isn’t so hard to stay in shape and have fun doing it while on vacation, or even on a business trip! Book your stay now. Just now Sizzling Summer Rates were posted for the rest of the summer. 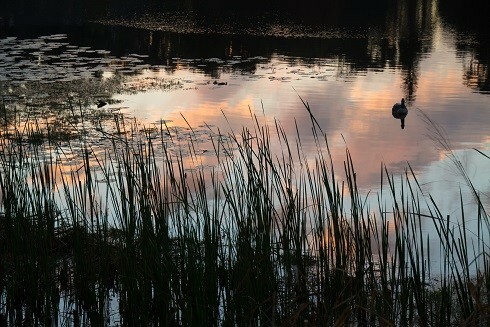 Take advantage of a more quiet time here in Central Florida. There is still lots to do, everything from museums and great shopping to antiquing and all types of fabulous restaurants. The posted rates are never lower than they are right now so book early for your favorite room. Enjoy the peaceful Hirsch Room with its original claw-footed tub, our largest room. Wake up in the O’Heir Room with the sun coming up over Lake Eulalia, the only lakefront room. Or enjoy the calm of the Cubbedge Room that overlooks the side garden with its variety of casual flower areas and a patio. 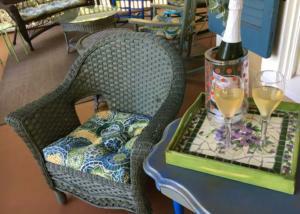 All guests are welcome to enjoy the 3 porches. The hammock in the upstairs sleeping porch is a very popular place to read. The many rocking chairs and other seating areas on the front wraparound porch are great places to sip a glass a wine while watching the birds chase each other from tree to tree. You’ll probably see an owl or two! The side porch has a cozy swing overlooking the gardens. And if it is just too warm for you, the two parlours give you areas to just relax, something that is missing in most peoples everyday lives these days! 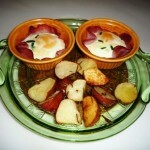 You will still be able to enjoy our famous savory breakfast each day regardless of the weather. So book now with our Sizzling Summer Rates before it is too late! 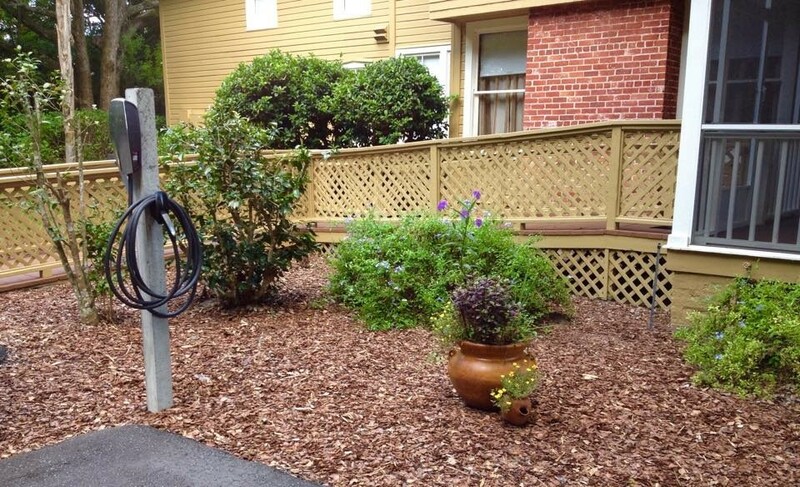 Tesla Charging Stations at North Orlando Inn! 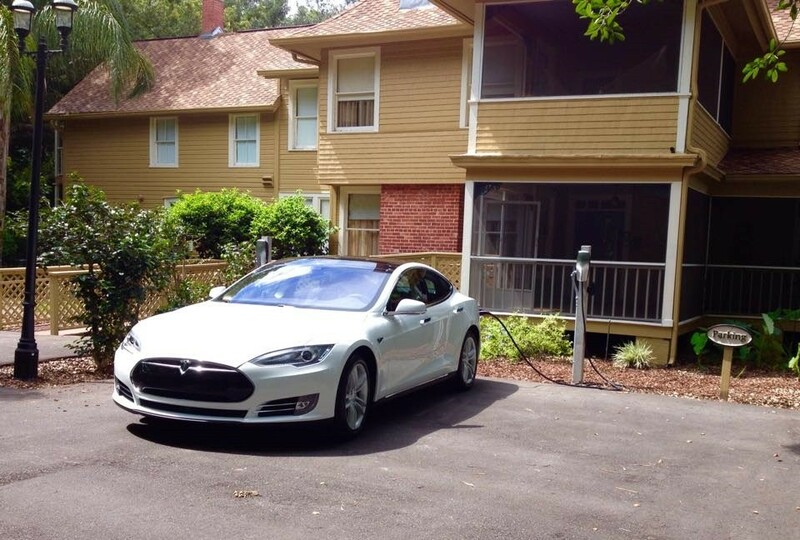 Tesla Charging Stations at North Orlando Inn! We have 2 for your use. Your bed & breakfast stay provides complimentary use of the Tesla Charging Stations at North Orlando Inn, a beautiful room to stay in overnight, free Wi Fi throughout the building, a cheese & beverage snack at 5pm every day and a bountiful breakfast each morning. 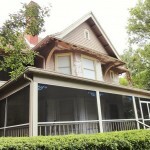 Minutes away you will find great restaurants, shopping, antiques, parks and museums. There is even a Tesla Showroom only one mile away! Don’t you need to book now? So far we have had a white Tesla, a silver Tesla and a black Tesla. Is yours the next one? 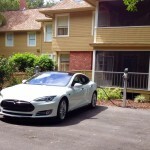 Tesla Charging Stations at North Orlando Inn – in use on the first day! Spring Fun Central Florida Style means lots of sun, birds and beautiful flowers. Gardens awaken with beautiful colorful blooms. Birds are in their active nesting season and spend a lot of time entertaining us with their antics in the yard. The sun is up longer and more beautiful each day too. 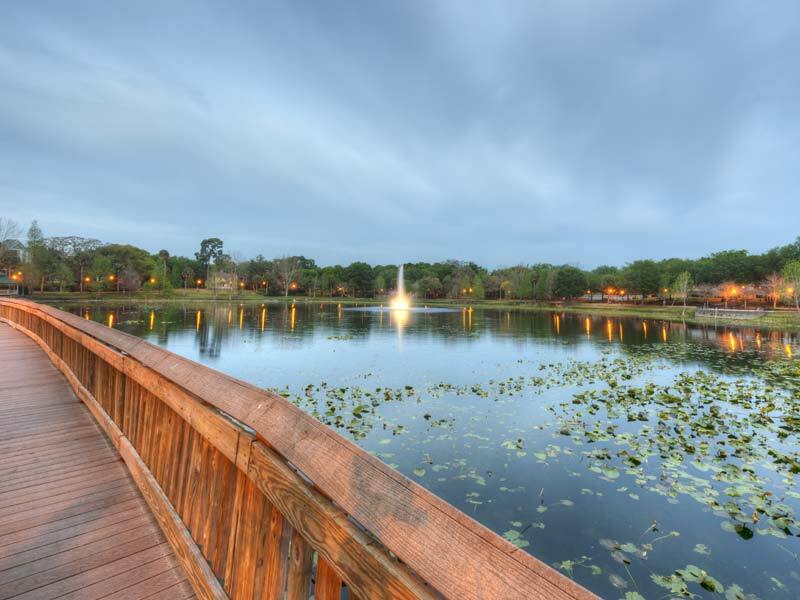 There is so much to do in Central Florida, and just minutes from Thurston House boutique bed & breakfast. The City of Maitland proudly announced that the Maitland Art Center was designated a National Historic Landmark – what an honor! This unique and wonderful facility was built by Andre Smith in 1937 as an artist’s colony. Through many twists and turns in its’ history, it has come full circle with onsite artists in residence once again. Come stroll their grounds, including a beautiful chapel. The gallery inside also features ongoing collections and exhibits to enjoy. 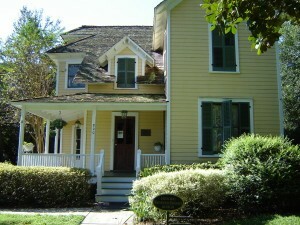 The Waterhouse Residence Museum and Carpenters Shop is another wonderful Maitland attraction. View how an average family might live in 1884, and how the Dad would make a living an area home builder. 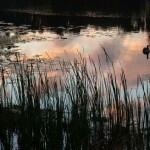 The Audubon Birds of Prey Center is on the Florida Birding Trail, and just a few minutes away from Thurston House. Well known for their rehabilitation of these magnificiant birds, they also have an extensive collection of research materials to share. Resident birds, ones who just cannot be released back to the wild, enjoy being set on their teethered posts daily where all visitors can get an up close view of them. 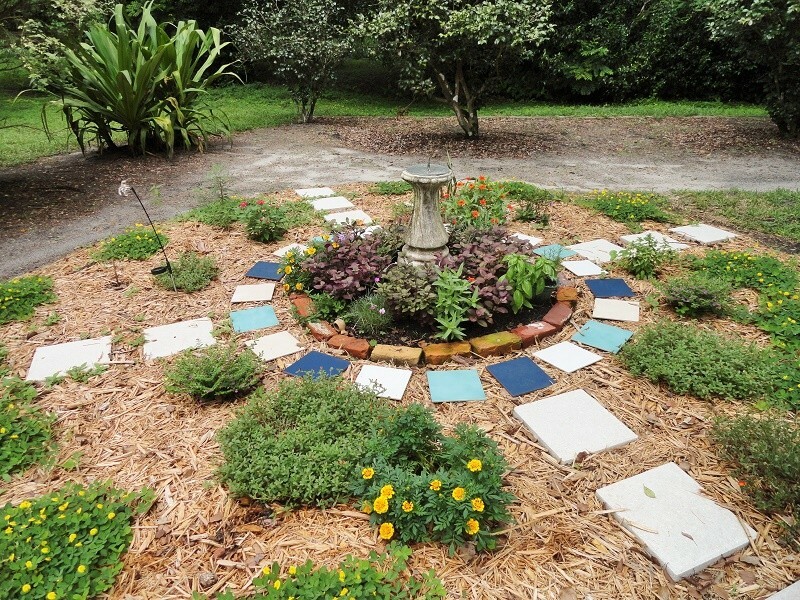 You can also enjoy Spring Fun Central Florida Style by just staying at Thurston House, a small boutique style bed & breakfast. Situated in the middle of 8 acres of sanctuary type land overlooking Lake Eulalia, yet minutes from many dining options, museums and lots of shopping, it is the perfect escape for you – Book now! 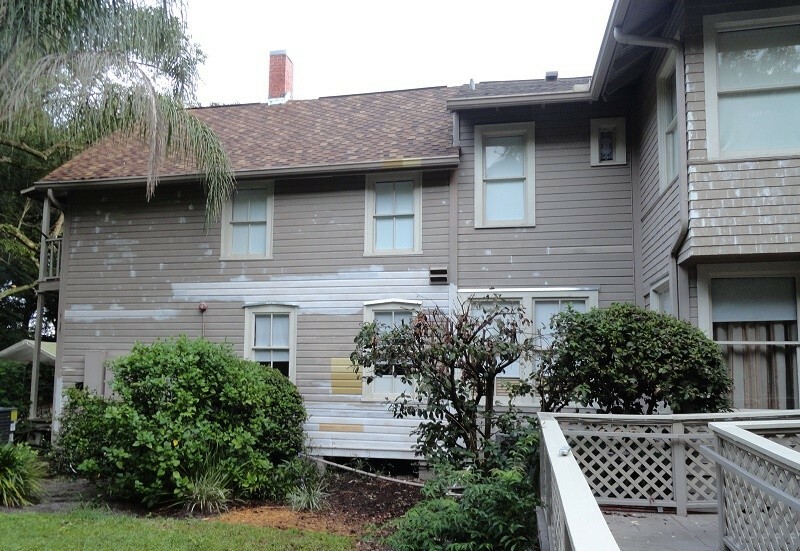 It’s time for a New-Old House in Central Florida. 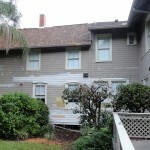 Thurston House Bed & Breakfast is getting a facelift, with a variety of wood repairs and a new paint scheme. After being in business for 22 years, celebrating this anniversary September 15th, it is time for a change! 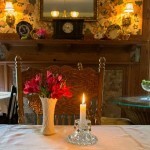 We enjoy a lot of regular returning guests so it is nice to keep things fresh and the best quality that we can provide. 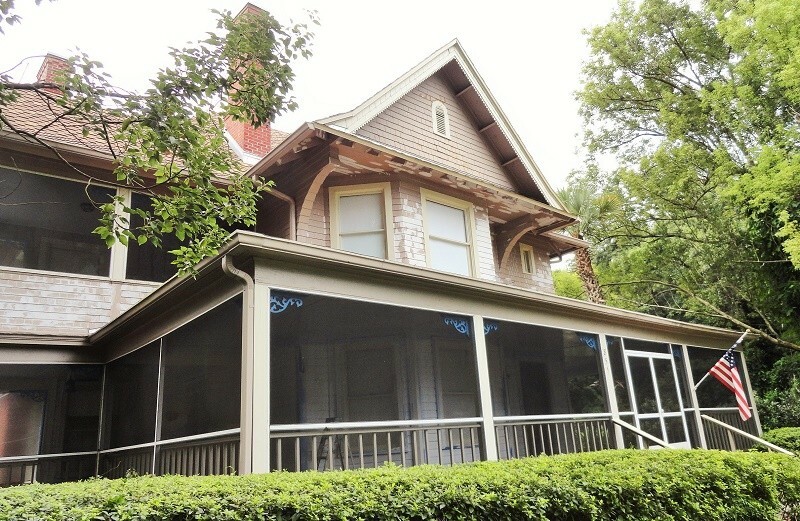 This 1885 Queen Anne Victorian is more a comfortable farmhouse style than high Victorian. 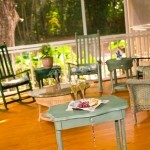 The wonderful porches, casual common areas and beautiful grounds lend itself to a relaxing ambience. All three guest rooms offer quiet retreats, with fine linens, comfortable beds and a variety of seating areas. 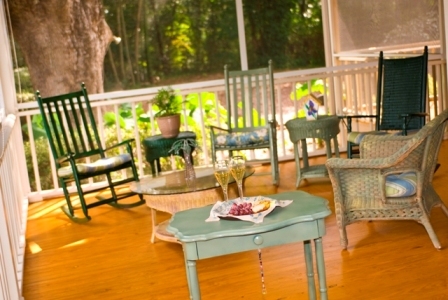 Enjoy your room, but also take advantage of the many places to relax, such as the upstairs sleeping porch with it’s wicker chairs and hammock, the gorgeous 1st floor wraparound porch with a variety of chairs and a dining area, and the peaceful & casual gardens. 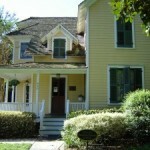 Book your stay now at New-Old House in Central Florida! 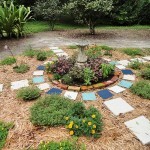 Along with New-Old House in Central Florida there are several gardens areas, including this new herb garden. What type of breakfast would you enjoy most at a bed & breakfast- Sweet or savory breakfast? 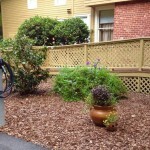 When staying at our North Orlando Winter Park area bed & breakfast, both types are provided, innkeepers daily choice. The innkeeeper likes to change from one to the other to keep things interesting and fresh. One morning you might enjoy Eggs Florentine, and the next might be an Apple & Ricotta Stratta. There is always plenty of fresh custom roasted coffee, a variety of tea, juice, fresh fruit, meat and some type of baked good too. 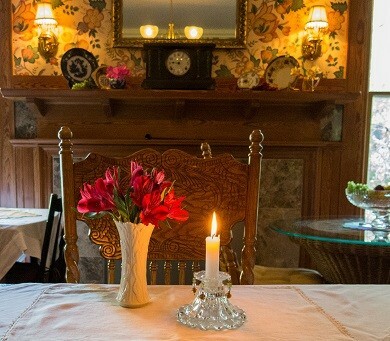 If you leave the breakfast table at Thurston House where a sweet or savory breakfast has been served and you are still hungy, it is certainly your own fault. Most leave the table stating that they won’t have to eat again until dinner! Come try us out yourself by booking now.